If you have missing teeth, it may not only be aesthetically unpleasant, but it can also affect your self-esteem. Missing teeth may also cause various other issues such as difficulty speaking or eating and even jawbone deterioration. Many people give up on ever having a beautiful smile and a full mouth of teeth again. Fortunately, advances in technology and dental materials have allowed our Kissimmee dentist to make dentures very natural looking and comfortable—whether you need a partial or full set. 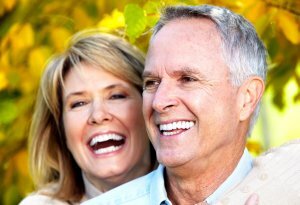 To find out more about how dentures can enhance your mouth and life, contact us now at (407) 348-6042 and set up an appointment! We do not currently accept Medicaid.